An international team of experts critically review the recent progress in basic and applied research in angiogenesis. Their cutting-edge discussion ranges from the stimulation and repression of angiogenesis to the discovery of novel targets and the use angiotherapy in the clinic. 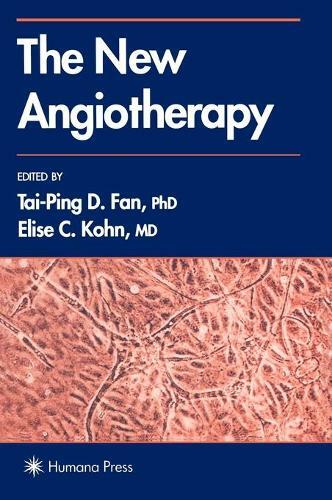 They also detail the fundamental concepts in the physiology and pathophysiology of angiogenesis and evaluate the potential of angiotherapy in the management of angiogenic disease, highlighting some of the angiogenics and antiangiogenics both in development and in clinical trials. "This is an excellent collection of reviews in the field of angiogenesis therapy. This is an important area because growth factors are now in the clinical trials in the cardiovascular arena in an attempt to grow new vessels for ischemic disease. At the same time, antiangiogenesis is being evaluated to prevent tumor growth and neovascularization in the diabetic retina. Each chapter is well referenced and the index is very helpful in locating specific points in the book. This is an important addition to the medical literature. "-Doody's Health Sciences Book Review Journal, 96 score, 4 stars!